When facing an infectious disease outbreak, natural or man-made disaster, environmental hazard, extreme weather or other health crisis, the Vermont Department of Health must be prepared to respond quickly and effectively. 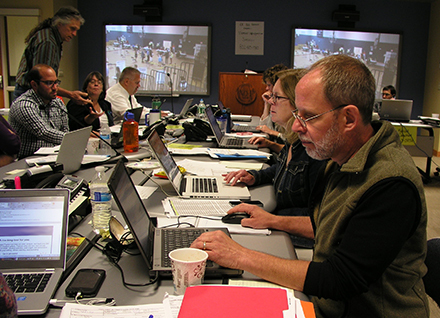 We use our Health Operations Center (pictured here) and Incident Command Structure to organize our response. We work with other government agencies, hospitals, health care providers, EMS, first responders and community partners to respond to – and recover from – events and emergencies that threaten the health and safety of Vermonters.